Healthy Boiler Your Benefits. Your Choices. Your Well-Being. As healthcare costs continue to rise across the country, the university’s best way to combat this is by helping to improve the overall wellness of our population. Therefore, as part of our initiative to promote wellness within our population, Purdue is continuing the Healthy Boiler wellness incentive plan for the 2019 plan year, effective October 1, 2018 to September 30, 2019. By completing both objectives listed below, eligible employees and spouses will receive the respective funds into their Health Savings Account (HSA) or into a Health Reimbursement Account (HRA). All benefits-eligible employees as well as spouses covered under one of the Purdue health plans. Are dependent children eligible to participate? No, only benefits eligible employees and spouses covered under one of the Purdue health plans are eligible. If I am not on Purdue’s medical plans, am I eligible to participate in the incentive program? Yes, non-medical participants are eligible to participate. Are graduate staff, LTDs, or retirees eligible to participate? No, only benefits eligible employees and spouses covered under one of Purdue’s health plans are eligible. I plan to retire in 2019, can I continue in the Healthy Boiler Wellness Program after retiring? Once retired, you are not eligible to participate in the Healthy Boiler program. If you have completed activities and are entitled to the incentive money, we will open a HRA account for the remainder of 2019 with the monies earned. The account will close after 2019. What if I see a message stating “You are not enrolled in this program”? Contact healthyboiler@purdue.edu to correct the error. How do we enroll for the Incentive program? After the employee has registered on the wellness portal, completion of the objectives will “enroll” the employee into the incentive program. How does my spouse enroll? After the spouse has registered on the wellness portal, completion of the objectives will “enroll” the spouse into the incentive program. How does my spouse register? Where can I go for more information on the Healthy Boiler Wellness Incentive program? Will you send me a code to sign up for the Healthy Boiler Incentive? No, you will visit www.healthyboiler.com and click register. No code is needed to register. Do I have to have a referral code to register? No, you do not need a referral code to register; leave the cell blank. Where do I go once I am logged into the portal? How do I track each step? Once you have registered on the portal, click on the EARN tab at the top of the navigation page. Here you will find all the steps and instructions to complete each step. Up to $325 for employee-only participation and up to $650 for employee plus spouse and employee plus child/family participation. How will I receive the incentive dollars? If you are currently receiving contributions to an HSA, the funds will be deposited into your account quarterly when eligible. If you are not eligible to receive contributions to an HSA, an HRA will be opened for you and the funds will be deposited quarterly when eligible. An HRA will only be opened for those who are ineligible to receive contributions to an HSA. Some examples of this are as follows: A person on the Purdue Health Plan, a person taking Medicare Part A, a person opted out of Purdue’s medical plans/is on a health plan outside of Purdue. An individual with a FSA will receive a HRA. An HRA is a Health Reimbursement Account. HRA accounts are similar to flexible spending accounts (FSA). The funds in this account can be used for qualified medical, vision, prescription and dental expenses you pay out of pocket, like funds in a Flexible Spending Account (FSA). How does the HRA get set up? For those who are not receiving contributions to an HSA, an HRA will be opened automatically based on the quarterly incentive pay schedule if you have completed the first eligible objective. Ex: If you complete your physical and biometrics in November, an HRA will be opened at the end of January with $175 (or $350 if your covered spouse completes the physical and biometrics as well). How will employees access HRA funds? Employees will receive a debit card from HSA Bank which can be used to pay for eligible expenses. Employees who are participating in a health care Flexible Spending Account (FSA) will use the same HSA Bank card they received for the FSA. Funds will first be spent from the HRA, then from the FSA once the HRA is exhausted. When will I receive the incentive dollars I have earned? The funds will be deposited at the end of each quarter: January, April, July and October. A report in aggregate will be provided to Human Resources indicating how much each person should receive based on completed items. Human Resources will not receive any personal health information related to your incentive completion. Do these funds roll over into the next year? If you have an HSA, yes the funds will roll over. If you have an HRA, you will have until the end of the year (or termination/loss of benefits date) to incur eligible expenses and 90 days from December 31 (or termination/loss of benefits date) to submit claims for reimbursement. Does the HSA contributions received by the incentive program apply to our annual maximum? Yes, participation and funds received into an HSA from this program apply to your annual maximum. What if the additional HSA contribution exceeds the maximum? HSA’s can be changed at any time during the year. You will need to change your contributions to avoid the max. If you go over the max, you’ll have to pay taxes on any exceeding amount. If I terminate before I receive the incentive monies from completed Healthy Boiler activities, will I still receive payment? Yes, the monies will be deposited into your HSA or you will receive an HRA for the funds. What if I completed the incentive activities but did not receive the monies correlated with the tasks? Contact hr@purdue.edu for questions about payment. How long does it take for the incentive monies to show in my PayFlex account? Once the monies have been deposited, the funds will be available in your account. If my spouse as a HRA, can I receive funds into my HSA? No, an employee may not receive contributions to an HSA when a spouse has an HRA and vise-versa. Do HRAs roll over/if a person has an HRA in 2019, will it stay open for future earnings in 2020? 1/1, 4/1, 7/1, 10/1 retroactively, depending on when requirements are met. What constitutes an annual physical? What if I already had my annual physical and biometrics? To qualify for the incentive, your physical and biometrics will need to have been completed between October 1, 2018, and September 30, 2019. You are eligible to get a physical even if it hasn’t been a full year since your last physical. Will a health screening at a health fair count for the incentive? No. The biometrics form needs to be completed by your provider as part of the annual routine physical. If your provider is willing to sign off on the biometric form from the health fair that was not completed by him/her, it would be accepted. All biometrics must be included. Will my Mammogram, Colonoscopy, or Pap smear count as my annual physical? No, a mammogram, colonoscopy, or a Pap smear are typical testing that can be a part of your annual physical but does not count as receiving a complete physical. Are the annual physical and biometrics’ covered by our insurance? Yes, both are considered preventative. Preventatives are no cost to the employee. You will need to download the Healthy Boiler Center for Healthy Living Provider Screening form and take it with you to your annual physical. 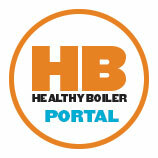 You can find this form on the Healthy Boiler portal, www.healthyboiler.com. Your primary care provider will need to sign it including the values before you upload it to the Healthy Boiler portal as documentation of completing this step. What if my primary care provider wants to charge me to complete the biometrics form? Typically, a provider will complete the form including values as part of your physical but some may charge a fee. You can inquire about your provider’s policy when scheduling your appointment. The Center for Healthy Living will not charge for the routine physical and completion of the biometrics form. What will the biometrics be used for and who can see them? The information from your physical and the results from your biometric screening will be used by the Center for Healthy Living to provide you with information to help you understand your current health and potential risks, and may also be used to offer you services through the wellness program, such as, but not limited to health coaching, medication therapy or weight management. You also are encouraged to share your results or concerns with your own primary care provider. The only individual(s) who will receive your personally identifiable health information is One to One Health physicians, nurse practitioners, and pharmacist, dietitian or health coaches in order to provide you with services under the wellness program. Will I have to use a sick day for a doctor’s appointment that is during work hours? Yes, sick leave is most appropriate for a doctor’s appointment during work hours. Where do I find the Physical and Biometric form on www.healthyboiler.com? You will find the form by selecting the Earn tab. The form will be linked on the left hand side of the screen. My provider will not arrange for a physical until it has been a full calendar year. How can I receive credit for this incentive? We are trying to work with community providers, but we cannot control their internal policies. The Center for Healthy Living is able to provide annual physical and biometric exams at any time. HR benefits, regionally or locally, are able to provide a letter from Anthem stating the policy that you can share with your PCP. How do I integrate my wireless tracking device (ex: Fitbit, Apple Watch, Garmin, etc) with the Healthy Boiler wellness portal? Other apps and devices can connect to the portal utilizing the Runkeeper app. Additionally many of the mobile device health apps can pass steps to Propel via the FitBit dashboard. Regarding Apple Watch. They are a closed system and limit their connectivity. Many clients with Apple Watch will run Runkeeper on their apple watch and sync activity that way. Apple Watch does not even sync steps with iPhone Health App. Many Apple users will use an app www.myfitnessync.com with the FitBit dashboard to pass steps from their Apple Health App to Propel. My Fitness Sync allow Steps from the Apple Health app sync with Fitbit to load to our portal. There are so many apps and devices that continue to change regarding what they will pass and who they will sync with (e.g. Jawbone which was popular earlier is going out of business). We are finishing a direct connection with Garmin which will be rolled out as the sync programming is completed. Our portal support can help members with their specific sync questions as it pertains to the device/app they are using and what they are wanting to sync. FAQ will continually be updated based on incoming questions.